SINGAPORE, September 01, 2016 – Today, Expedia.com.sg® released the results of the 2016 Expedia® Flip Flop Report, an annual study of the behavior and preferences among beachgoers around the world. In particular, the 2016 Singapore Flip Flop Report found that Singapore vacationers prefer to travel internationally when it comes to getting their dose of the sun, sand and sea. These insights and more, were uncovered from Expedia’s 2016 Flip Flop Report, an annual analysis of the behavior and preferences among beachgoers around the world. Report data also revealed that out of all respondents who took a beach vacation during the past 12 months, 96 percent travelled internationally to do so. This number is the second highest globally, with Austrians (98 percent) taking the top spot. In addition, a further 64 percent of us are still on the prowl for our next beach holiday sealing our status as beach bums. Surprisingly, 82 percent of us prefer to “do nothing” when on a beach vacation, compared with a global average of 74 percent. This could signify that Singapore travelers use beach holidays as an opportunity to wind down from their hectic lives back at home. We are also more likely to go on beach holidays with our family members (73 percent) and use the down-time as a chance to catch-up and bond. This is trait we share with fellow Southeast Asians, with 74 percent of Malaysians, and 79 percent of Thais also opting to take their family members to the beach. “With the advantage of being in a unique location within the Southeast Asia region, Singapore is within close proximity to some of the world’s best beach destinations for Asia. It is no surprise that when it comes to planning a family holiday, or a quick getaway for the weekend, a beach holiday becomes a top choice for our travelers. It is also in our culture and DNA to center our leisure time on our families. These annual results then allows is to design competitive package deals that meet the demands of our customers when it comes to booking flights, hotels and holiday activities,” said Simon Fiquet, General Manager for Southeast Asia and India, Expedia group. *300 respondents from Singapore; percentages for Singapore travelers are in bold for easier reference. How does the Singapore traveler look like, according to the survey? What do we do to get “beach-ready”? 88 percent of Singapore beachgoers admitted that they will never postpone a beach vacation just to get in shape. This number is very much in line with global figures with the exception of Thai travelers, with 32 percent preferring to hit the gym before a holiday. However, 45 percent of us would go shopping for a new swimwear, with 17 percent choosing to go for spa treatments just to look selfie perfect. On average, we spend an average of SGD$82 on getting “beach-ready” before a trip. Singapore is well known for her cleanliness and safety, and this may have a part to play when beachgoers select their holiday destinations. 92 percent citied clean beaches as being very or somewhat important, while 93 percent felt the same way about the safely of their intended destination. Additionally, 92 percent of us also feel that the weather conditions are an important factor when selecting their intended holiday spot. 38 percent of Singapore beachgoers fear shark attacks, and would avoid swimming entirely because of it. Funny as it may be, this same quirk is shared amongst our friends in Malaysia (35 percent), with Hong Kong-ers (53 percent) being the most afraid among all 24 countries polled. When asked to rank their top fears at the beach, Singaporeans highlighted theft (38 percent), bad weather (15 percent) and drowning (13 percent) as their top three causes for concern. In line with our habit of relaxing while on a vacation, Singapore beachgoers also enjoy their holidays by taking long walks on the beach (62 percent), watching the sunrise or sunset (45 percent) or just spending time watching other holidaymakers at play (46 percent). Singaporeans are also tops when it comes to WiFi use at the beach, with 68 percent opting to browse the internet and their social media feeds, compared to the global average of just 48 percent. When it comes to posting photos of ourselves in swimwear on social media, 31 percent admitted that they would do so only after reviews and edits. This number is again the highest globally, tied only with beachgoers from Mexico. The study was conducted among 11,115 adults aged 18 years of age and older across 24 countries. Sampling quotas and weighting were used to ensure the sample is representative of each country’s population in terms of age and gender. Assuming a probability sample, the margin of error would be +/-0.93 percentage points, 19 times out of 20. Expedia.com.sg® offers travelers a wide selection of hotels, activities and travel services at attractive rates. With over hundreds of thousands hotel partners worldwide and comprehensive choices of flight inventory made readily available on Expedia.com.sg®, travelers can book everything they need for a holiday – rooms to meet every budget, activities of every kind and travel services to complement. 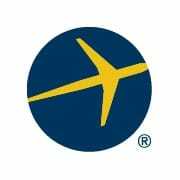 Expedia.com.sg® is managed by AAE Travel Pte Ltd, (“AAE Travel”). AAE Travel is a joint venture company between the world’s leading online travel company, the Expedia group and the world’s best low cost airline, AirAsia. Headquartered in Singapore, AAE Travel operates Expedia’s businesses across Asia (excluding China). Other product and company names mentioned herein may be the property of their respective owners © 2016 Expedia, Inc. / Expedia Southeast Asia Pte Ltd / AAE Travel Pte Ltd. All rights reserved.